Here's a deal you can't miss! 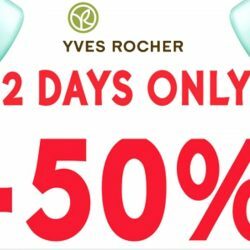 French Botanical beauty brand Yves Rocher is having a Pre-Christmas Special with 50% off storewide on regular-priced items for TWO DAYS only! Valid on 11 Nov & 12 Nov 2016. Try their award-winning hair care products and other skincare products now! T&C apply. 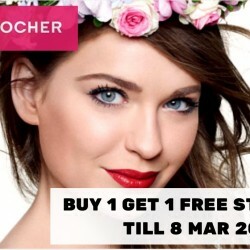 The French botanical beauty brand, Yves Rocher is having a Buy 1 Get 1 Free Storewide promotion from now till 8 March 2016! Head down to the nearest Yves Rocher store today! If you don't have any idea on what to get for your mom this Mother's Day, just head down to the nearest Yves Rocher store as you get 30% off selected body care coffret gift sets and many more! Promotion valid till 20 May 2015, or while stocks last. Available in Ngee Ann City #B2-03, Westgate #02-16 & BHG Bugis Level 1 Cosmetic Floor. Terms and conditions apply. From now till 31 Jan 2015, Buy 2 Get 1 Free on selected bath and body lines at all Yves Rocher stores. Discover sensual pleasures of the limited edition Christmas berries collection. Indulge your loved ones with skin-softening, botanical formulas with the intense and juicy notes of Blackberries and Redberries. Exclusive Christmas promotion for DBS/POSB card members! Enjoy an additional 5% off with a min. spend of $50 at the Ngee Ann City and Westgate stores from now till 31 Dec 2014. 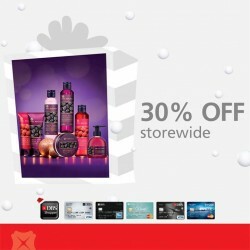 DBS oofers 30% off Storewide at Yves Rocher and a Complimentary Gift with min purchase of $40 nett. Promotion period: 13/11/2014 to 30/11/2014. Enjoy! Let your natural beauty shine! 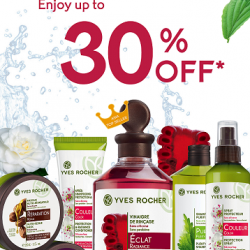 Get 30% off Yves Rocher from now till 30 Nov 2014. T&Cs apply. Yves Rocher Research Laboratories have selected 100% organic Argan Oil with intensive nourishing properties to restore shine and softness to the skin and hair. Get yours at 30% off* now! T&Cs apply. Purchase a set of Shampoo and Conditioner at $25 and enjoy 30% off Botanical Hair Products. 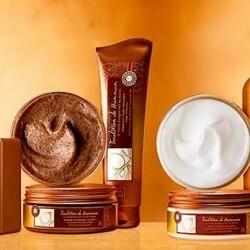 Cleanse, Exfoliate and Moisturise your skin with our Les Plaisirs Nature range. 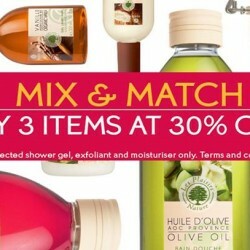 Valid on selected shower gel, exfoliant and moisturiser only. Promotion valid at Ngee Ann City and Westgate outlets only. 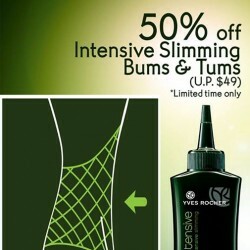 Tuesday Special: Enjoy 50% off Bums & Tums (U.P. 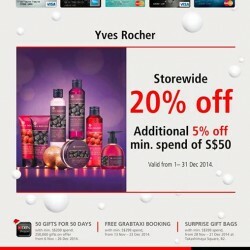 $49) for today from Yves Rocher only. 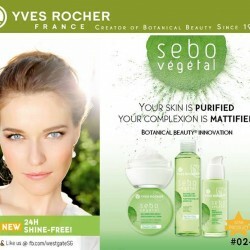 Yves Rocher France, known as the creator of botanical beauty since 1959, is giving out their new product line-Sebo Vegetal range to you at Westgate. Flash this Facebook post at Yves Rocher @Westgate #02-16 from now till 15 Jul. 2014 to redeem 5 complimentary samples! Guess the ingredient of the featured Sebo Vegetal range and stand a chance to win a Travel Kits worth $25! Till 15 Jul. 2014 while stocks last.